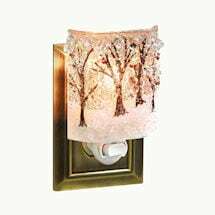 Change your nightlights with the seasons. 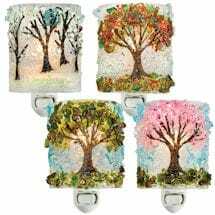 Set (XC2172 - sold separately) includes Spring Cherry Blossoms (XC2142 - sold separately), Summer Oak Tree (XC2152 - sold separately), Autumn Tree (XC2162) and Winter Woods (XC2132 - sold separately). 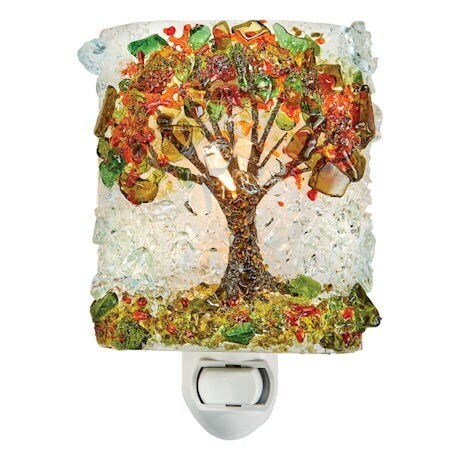 From a family company that has been making art glass for generations and still crafts everything by hand, each is a miniature mosaic of bottle glass, kiln-fired and fused. No two are alike. 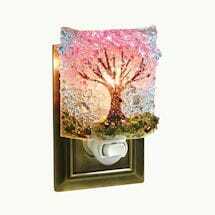 Each 4"w x 5"h x 2"d. UL®-listed. 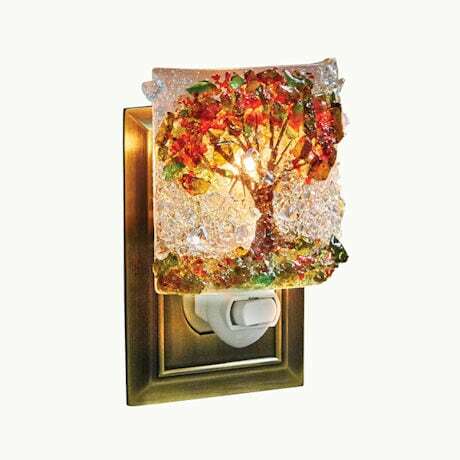 Rocker switch. 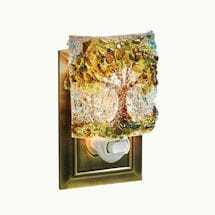 4-watt candelabra bulbs included. Made in USA.